Anna Lara Orlowska was crowned Miss Iceland 2016 this past weekend. She will represent her country at the next Miss World Pageant in December. 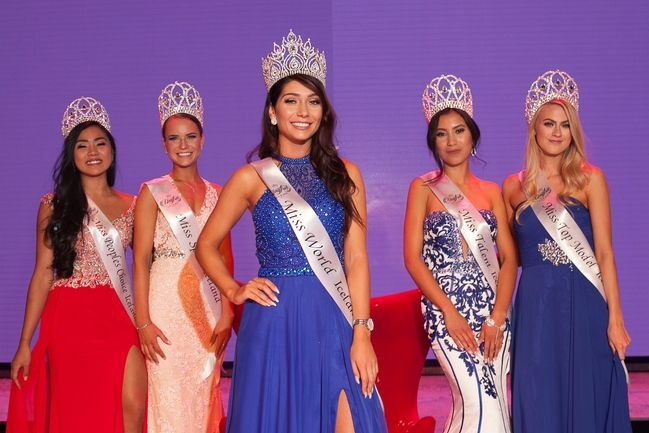 Elfa Rut Gisladottir was crowned Miss World Sport, Donna Cruz took home the Miss People's Choice Award, Hulda Margret Siguroardottir won Miss Talent and Anita Osp Ingolfsdottir was named Miss Top Model. Hmmm... I expected a bit more!